Thinking of making an educational game, but don’t have an idea of how to communicate with game designers/developers? Being invited to collaborate on a serious game making project as an educator, but not sure what material you need to provide game designers/developers? Or just want to know more about serious games? If you said yes to any of the above questions, then this workshop is for you. 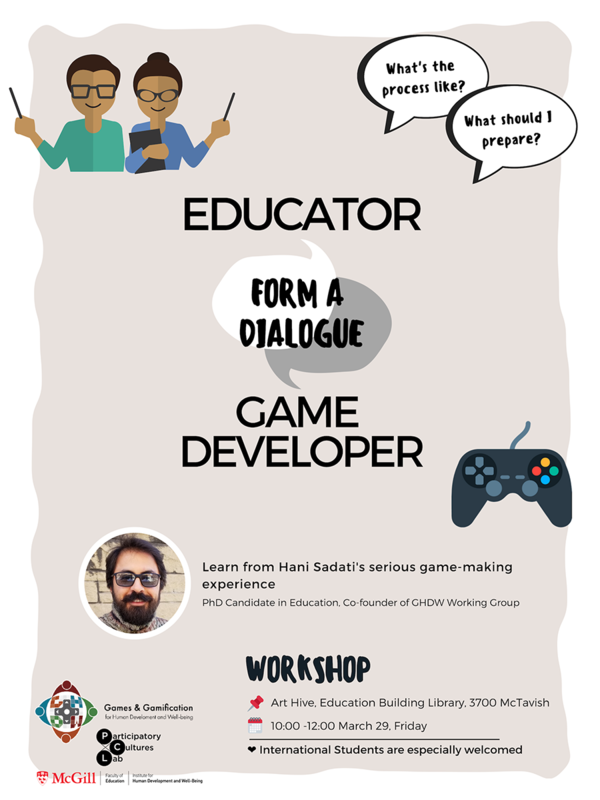 In this workshop, using his serious game making experience in Ethiopia, Hani Sadati will suggest a method for an effective educator-game designer/developer communication. • Which roles are needed in the process of serious game design (from initiating the idea to an actual game)? 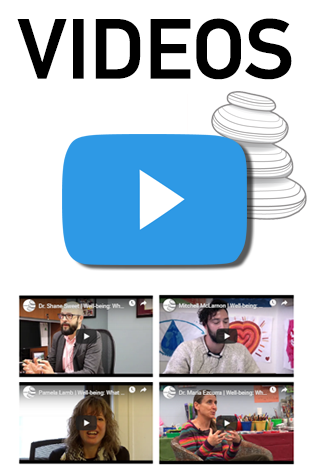 • What steps an educator/researcher needs to take for preparing and delivering the educational material to game designers/developers? 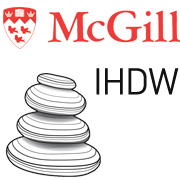 We specifically encourage International Students to participate since the working subject for the workshop activities is based around the international student experience, mental health, and well-being in the university. Please feel free to invite your friends.